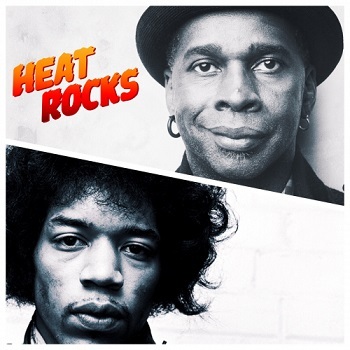 And if you're a music lover, you'll want to subscribe to Heat Rocks as well. 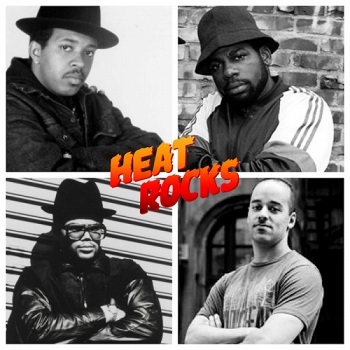 We're doing something a little different this week - we're listening to three of our favorite interviews from Heat Rocks, one of our sister shows at Maximum Fun. Heat Rocks is a music podcast about passion. It's hosted by Oliver Wang, a veteran hip-hop writer, and Morgan Rhodes - she's a music supervisor who's worked closely with Ava DuVernay. Each week, Heat Rocks brings you a conversation with a guest about the album that shaped their lives. Morgan and Oliver have talked with people like Cut Chemist, Ishmael Butler, Ann Powers and more. Expect deep, compelling conversations about R&B, Soul, Jazz, Hip-hop and more. Oliver and Morgan use each record as a jumping off point to talk about its history and its context. Jay Smooth is a legend. His cultural and political commentary, much of which he does through his pioneering Ill Doctrine videos, have positioned him as one of the hip-hop generation's leading pundits. He's also hosted one of the longest-running rap shows in the world: The Underground Railroad on WBAI. Jay wanted to revisit Raising Hell, a paradigm-shifting rap album that, as we discuss, has seemingly become underrated through the passage of time, though it is unquestionably one of the most important hip-hop releasesever. We get into the moment in which Run DMC first arrived, how they changed the game for rap artists (for better and for worse) and of course, all our fire track and sleeper jam picks off this LP. This interview is only a small segment from a full interview of Heat Rocks. You can listen to the full interview here! 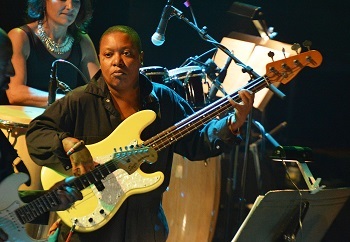 Meshell Ndegeocello is a songwriter, a singer, a rapper and a bass player. She broke through in the 90's as a signee to Madonna's Maverick Records label. She was a huge player in the soul and dance scene - she still is, actually. And if you aren't familiar with her by name, you almost definitely heard her duet with John Mellencamp, a cover of Van Morrison's "Wild Night." Morgan and Oliver asked her for her Heat Rock, she picked a stone cold classic: Prince's Purple Rain. She'll tell us what it felt like when she heard Prince wanted to sign her onto his record label. This interview is only a small segment from a full interview of an upcoming episode of Heat Rocks. Keep an eye out for the full interview here! Vernon Reid is one of rock's greatest guitarists, having rising to stardom in the 1980s as a member of Living Colour. It's not surprising, therefore, that he'd choose an album by one of rock's other great guitarists: Jimi Hendrix and his final album, Band of Gypsys, recorded live at the Fillmore East and released in the spring of 1970, less than a year before he died. Reid gave us an amazing lesson into what exactly made Hendrix so brilliant. I had some of the same feelings about Gil Scott-Heron's passing as Jay did. The difference, I think, is that Jay is one of the most thoughtful, brilliant cultural commentators we have, and I was busy working on this tweet about baby kangaroos . Two great past Sound of Young America guests chop it up. Some serious insights here. A nice Morning Edition piece from our pal Jay Smooth and Maura Johnston on the rapper Nicki Minaj. The frame is exactly what one would expect ("a female rapper in sexist hip-hop?! "), but Jay and Johnston are both too smart to fall into cliche. Just as I was thinking, "I wish they would mention that she can spit," Jay said "she can spit." The comments may be the best part. Specifically the guy who basically admits he was only familiar with Minaj because of a picture in his computer's "beautiful women folder." And then he says "we all know what that's for (can I say that?)". YES. You can say that, and you are the greatest NPR commenter ever. I mean, I love Bahamadia as much as the next guy, but her two albums came out what? Ten years ago? And I get it: Jean Grae is also a woman and she's not famous and hip-hop vs. rap and SNNNOOOOOOOOOOOZE. Seriously: some sharp stuff from Jay Smooth and Maura Johnston.